Our Top Five 2017 Books You Don't Want to Miss, on The Women's Eye! It’s been a wonderful year for us to find inspiring authors to post on our website. Since the year is ending, we thought it appropriate to remember these Top Five 2017 Books on TWE that have made their mark here. We hope you pick them up or order online whenever you get the opportunity. You will not be disappointed. 1. 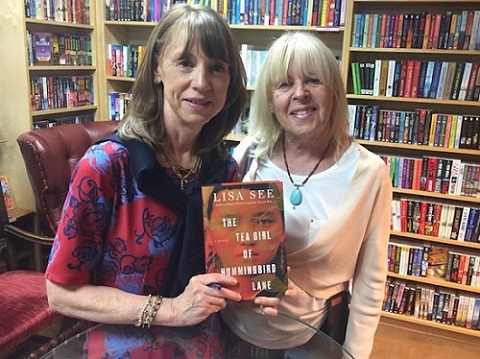 Lisa See and The Tea Girl of Hummingbird Lane–Be transported to the remote mountains of China by this #1 New York Times bestselling author. Lisa writes a moving story about tradition, tea farming and the enduring connection between mothers and daughters. We were fortunate enough to meet up with Lisa when she spoke at The Poisoned Pen bookstore in Phoenix. 2. Paula Gianturco and Wonder Girls–Girls are banding together all over the world, finding strength in numbers and succeeding. 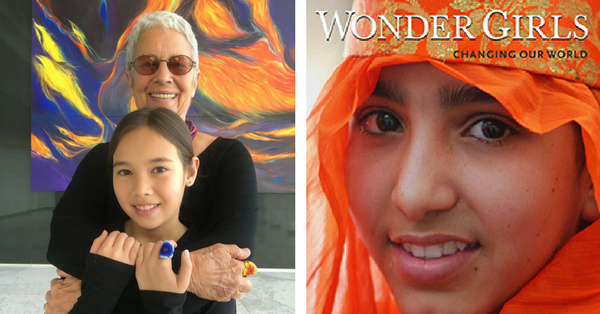 Wonder Girls: Changing Our World is the first book to document the work of groups of activist girls 10-18. Documentary photographer Paula and her 11-year-old granddaughter Alex Sangster write about 15 groups of girls in 13 countries and their remarkable accomplishments. Our radio host Stacey Gualandi was the first to interview Paola about the book this summer on this TWE podcast. 3. 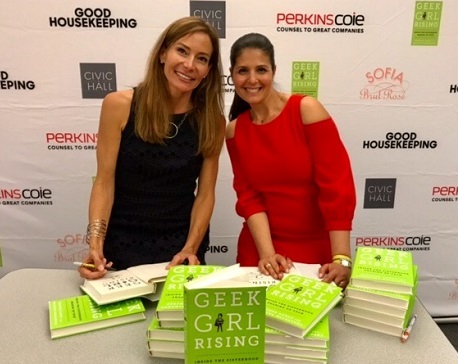 Heather Cabot and Samantha Walravens and their Geek Girl Rising–Inside the Sisterhood Shaking Up Tech–Patricia Caso interviewed Heather and Samantha about the changes in the tech world with the rising numbers of women who are pursuing their dreams–building cutting edge tech startups, investing in each other’s ventures and rallying the next generation of girls to get involved. 4. Theresa McKeown and The ABC’s of Everything–Our colleague Theresa and her sisters created a company to publish creative books for children of all ages. 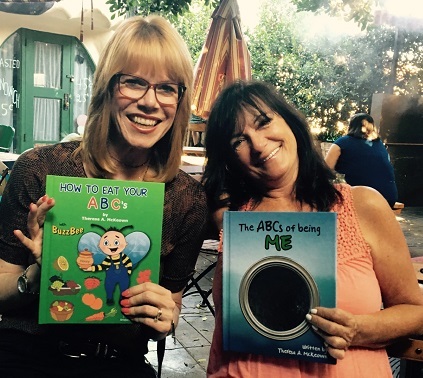 Her first book, The ABC’s of Being Me, is part journal, part scrapbook and part photo album. Each book is a personal time capsule to be opened, remembered and cherished over the course of a lifetime. If you are looking for a books that explore the world kids live in and that will exhance their potential, please check these out. Her second has been published, How to Eat Your ABC’s and they plan on writing more! It’s a change of career for Theresa and she loves it! 5. 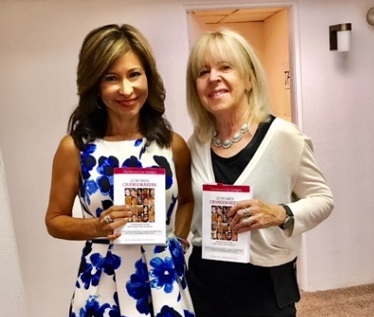 Pamela Burke and Patricia Caso, co-editors of 20 Women Changemakers–Taking Action Around the World–We are excited that we were able to publish our first book this year, an anthology that includes twenty of the inspiring women we have included on our website, radio show and podcasts over the last 5 years. It’s a labor of love and one we hope you all get to read. These are women we can all learn from with lots of advice as to how we can all get involved and make the world a more positive place. There are many more fascinating books and authors we could list here but wanted to give you a taste of those we were able to feature this year. We can’t wait to start 2018 and see what wonders unfold as we keep up with our changemakers and their continuing accomplishments! Thanks for reading our site and listening to our show…we appreciate your interest and hope you continue to follow our EYE.